We would like to inform you that the Corvina Publications has published the Corvina Hungarian Canadian Business Directory 2019 edition. 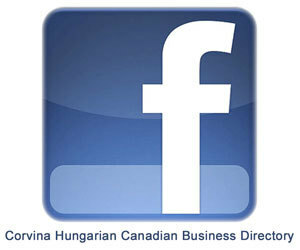 The book includes the list and advertisements of Hungarian Canadian businesses and Hungarian organizations. How can you order the book? You can also pick up your copy at the distribution locations marked on the map.